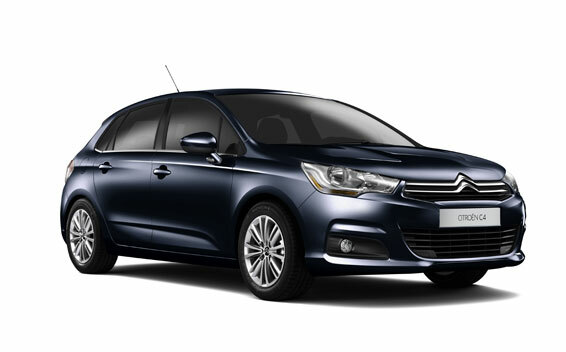 Citroen C4 is a superbly comfortable French family car and has a remarkable list of features added as standard. The velour interior of the Citroen C4 is extremely neat and comfortable. Some people may be disappointed, because there are no cupholders in the Citroen C4 but as the French people say - good coffee should not be consumed while driving. The storage space even in the cheapest version is remarkable - it even has a special drawer under the driver's seat. Citroen Australia has added some extra features to the Citroen C4 Seduction for no extra cost, adding a handful of new comfort and convenience features. It's available only to cars equipped with the automatic transmission and include electric folding side mirrors, auto headlights and wipers, reverse parking sensors, dual-zone climate control and auto dimming interior mirror. The features already fitted as standard to the Seduction variants will remain, including cruise control with memory settings, leather-bound steering wheel, foglights with cornering function, power front windows and an audio system with USB and Bluetooth. The four-speed automatic transmission on the 1.6-litre petrol engine offers 160Nm of torque and accelerates from 0-100km/h in 13.9 seconds using only 6.9 litres of fuel per 100km on the combined cycle. The turbodiesel gets a single-clutch EGS (electronic gearbox system) automated manual transmission, with 270Nm of torque and accelerates from 0-100km/h in 11.3 seconds while using only 4.2 litres of fuel per 100km. Standard safety features of the Citroen C4 include ABS and EBD systems in the brakes, adaptive driver and front passenger airbags, front side airbags and side impact protection. For even greater safety an optional blind spot monitoring system can be included to the suite of useful on-board technologies. A useful parking space gap measurement system is also available that lets you know whether a parking space is wide enough to park your vehicle. Overall this vehicle is an excellent alternative to other established brands in this sector - merging a satisfying equipment with competitive performance on the road.